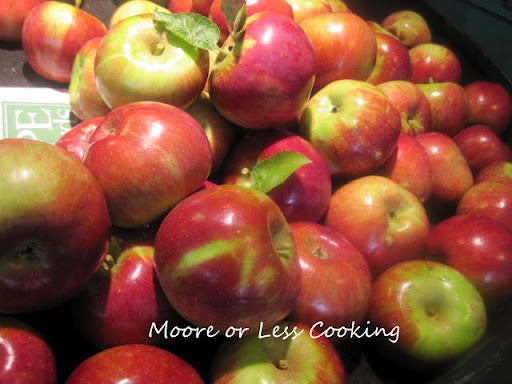 This recipe comes from Joy The Baker Cookbook, 100 Simple and Comforting Recipes. I have changed the recipe a bit by adding a cup of blueberries for the filling, I just had to, I have a lot of blueberries still! For the topping, I also added a half cup of slivered roasted almonds and a half cup of unsweetened coconut. 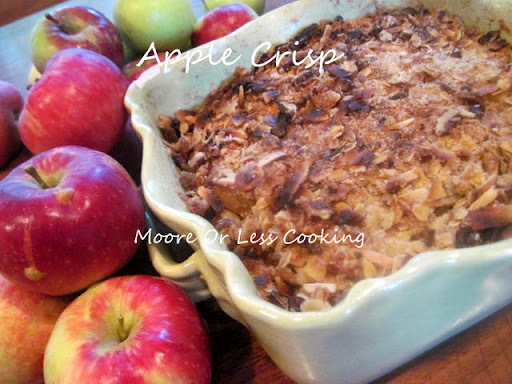 Apple crisps are just perfect like that, you can add whatever you have on hand, in this case I happen to have lots of almonds, pecans and coconut! Lily is having her first dinner party with sister and brother in law and we are invited and I am in charge of bringing dessert! 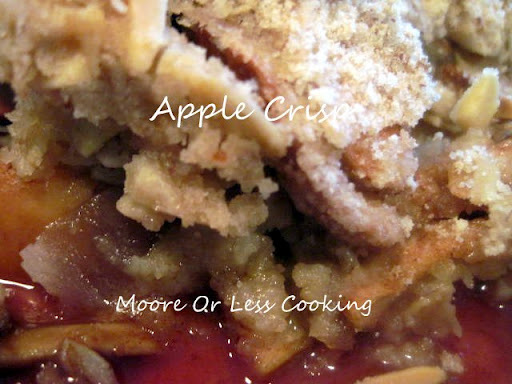 Oh goody, I made two apple crisps! We served the apple crisp warm over ice cream. Lots of ooohs and ahhhs were going on, so I think the party was a success! 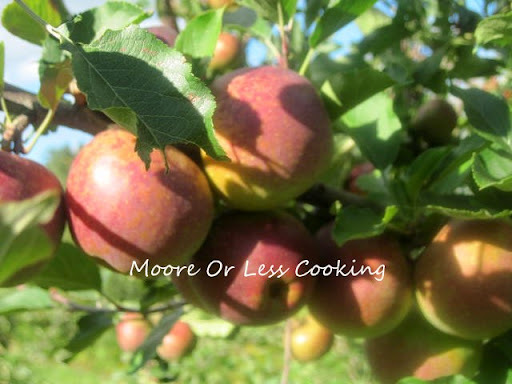 It was a perfect day for apple picking! Have to get the right apples for the crisps! 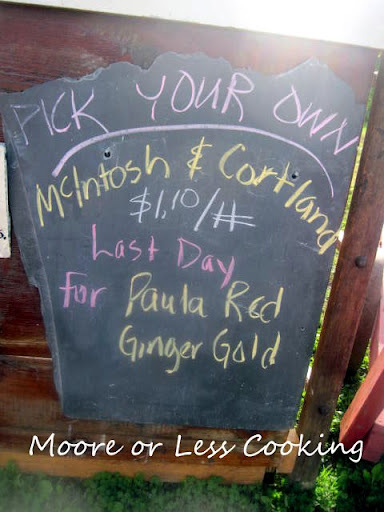 Last day to pick Paula Red’s and Ginger Gold’s. Just keep walking until you get to a fence, slim pickings but if you are persistent, you can find them! 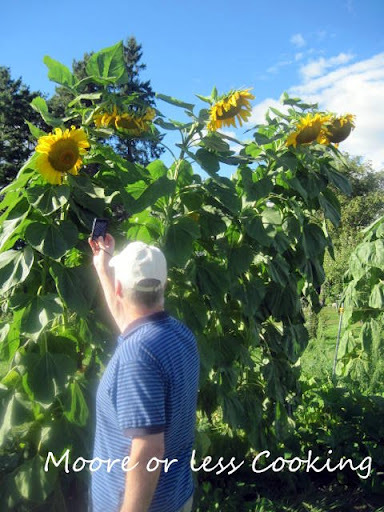 First stop, taking thousands of photos of sunflowers. Hubs likes taking just as many pics as me, probably more! 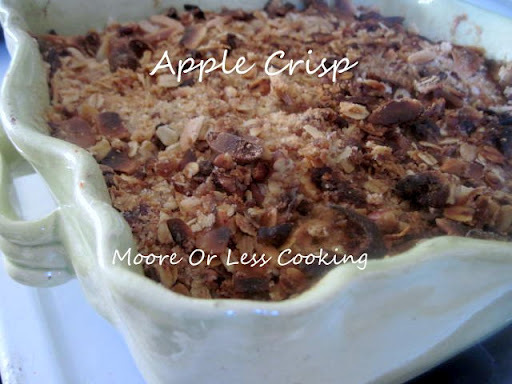 Joy The Baker calls this crisp, “Man Bait Apple Crisp”. I’ve got my man and he is in love with Sunflowers and me. He’ll be even more in love with me when he tastes this crisp! 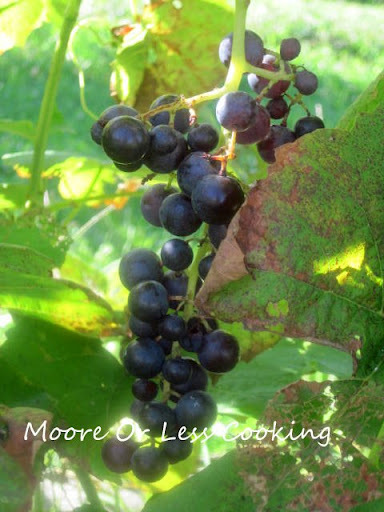 Second stop, grape vineyard, lots of photos of grapes too, because we can. 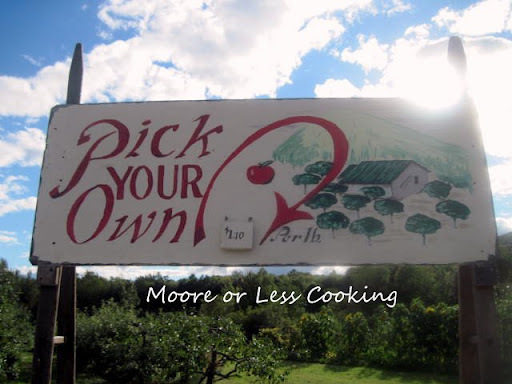 Oh yes, I remember this is why we came to the apple orchard, to pick apples!! Of course the star of the show, The Moore Paparazzi is going crazy for these beauties. How many can we get? As many as you can carry! Anything tagged “man bait” needs to be in my recipe file 🙂 I love apple crisp with homemade vanilla bean ice cream. You will love this then!! 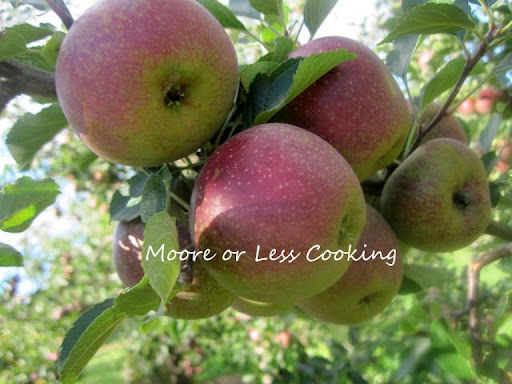 I always make two of a recipe when I am baking, with two teenagers and lots of parties, you can’t go wrong!